They always work at the dollar store and they look great. 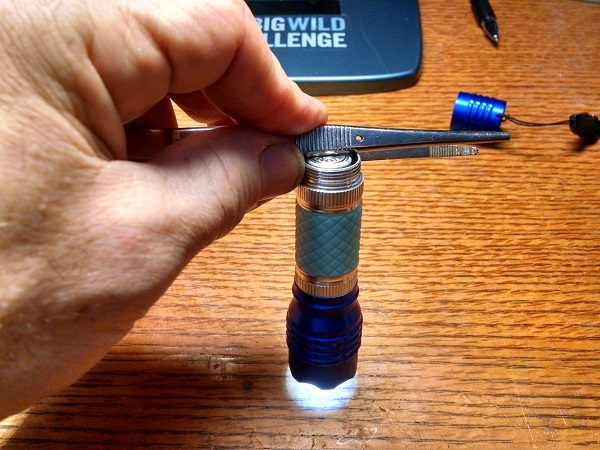 But after a few uses, just when you need to shed some light, that new flashlight won’t go on or flickers off and on. 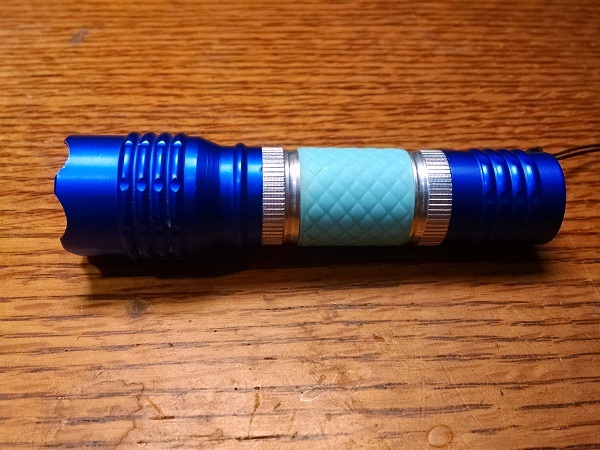 It’s usually the switch, so here’s a tear down and fix for one common problem with a flashlight that has the switch in the tail. 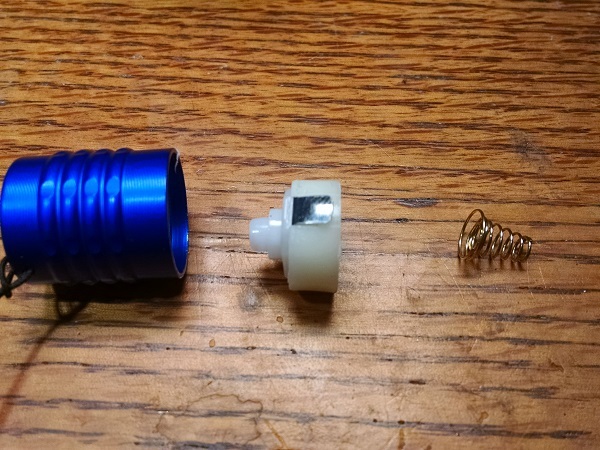 Remove the tail and check if connecting the end of the battery to the side of the flashlight turns on the light. If the light turns on, then there’s a problem with the switch. Otherwise, it could be something else like the battery or light bulb. Push on the switch to push it through the end piece. It might be tight, so you’ll need to push hard. Once you have the switch out of the tail piece. Use a sharp edge (knife) to pry out the inside part. You can bend the metal tab up to better access the inside part. With the inside part, use a sharp edge to pry it apart. 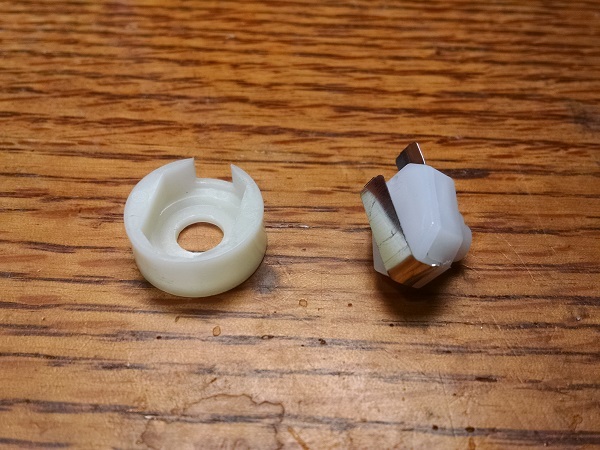 You should see a spring and a contact piece that looks like a bell on the inside. 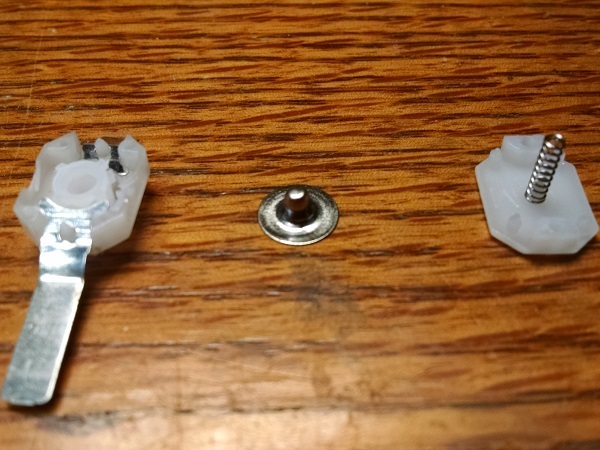 The rim of the bell-shaped piece needs to be bent down (the rim bent towards the tip of the bell) for better contact with the tabs. 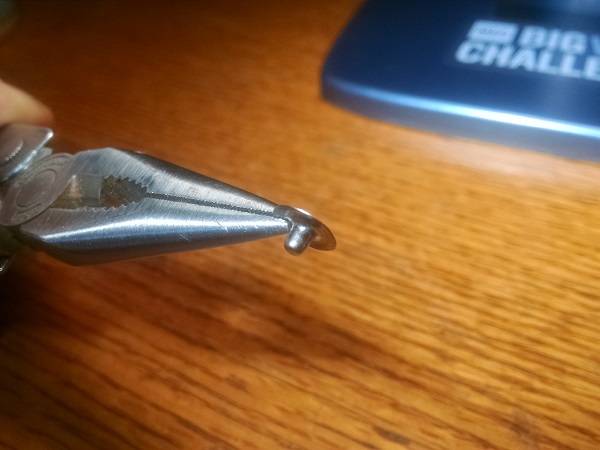 Use a pair of pliers to gently bend it. Reassemble in reverse order a try it out.